The sunrise came. 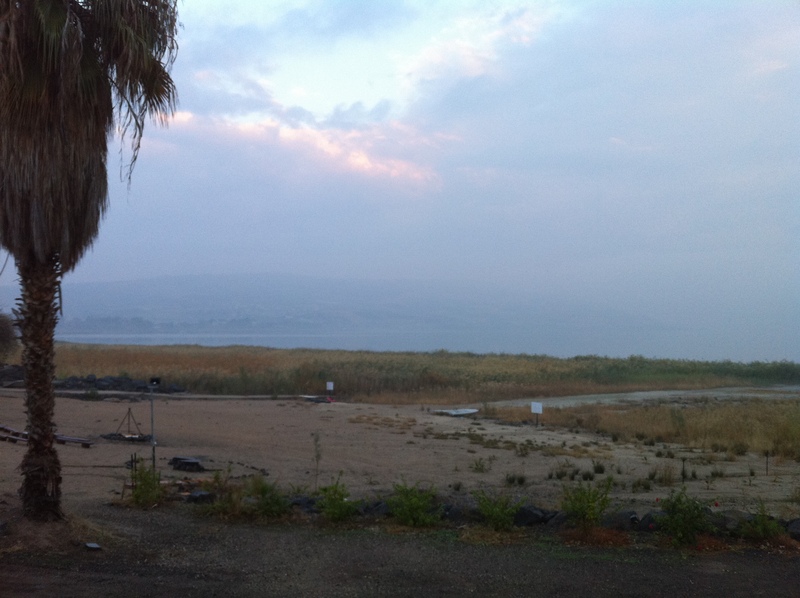 We opened the door of our small seaside villas to a fog-covered Sea of Galilee. It was almost just as I imagined it. That story in John 21 when Jesus restored Peter. Breakfast on the beach. The tall reeds. The wall of mountains. The gentle breeze, for the moment. It was almost midnight back in Orlando. I texted Jen to wish her Happy New Year. She was about to watch the ball drop. Our group all had an uneventful new year’s eve as far as I could tell. There was a small, noisy party for some locals in the lower level of the lobby the night before. Other than some wifi-seekers, though, our crew had gone to bed fairly early. This morning, there were those eating a quick breakfast to come over to the lobby to communicate with home and to catch up on Bowl Game scores. Jen came down with the same crud that I was sick with before we left for Israel. Which stinks. Having sick kids is one thing, and three of our five had gotten it. But having to take care of sick kids while sick is no good at all. And I hated it for her. She had a positive attitude about it, continuing to be so supportive of this special father-sons trip, even though we had a 9-week old newborn at home to go with those sick kids. She is amazing. Dad led the entire group in a study of 1st Peter each morning while we were in Israel. His first installment, which would have been beside the Sea that is so dear to his heart, got moved inside because of sprinkles. He had led the morning before on the bus north from Mispeh Ramon. He was teaching it as though Peter. Great stuff. Our first sight-seeing stop of the day was Beit Shean. A very ancient city with modern fame. Much of it has been excavated in the last 30 years. What has been uncovered reveals that there was likely an earthquake at night in the 700s. Unlike Vesuvius as a comparative excavation, people weren’t scattering in the daylight of a volcano-filled sky. They were still. Asleep. Remnants left alone. Markets empty. Most likely a nighttime shaker that destroyed a major metropolis of the Roman Empire. Biblically, Saul and his sons were hung on the wall by the enemy Philistines here after their dead bodies were recovered in battle (1st Samuel 31). Fast forward to Alex the Great. He conquered the city and made it “duty free,” which increased its commerce and significance. Romans made it a glorious stop along one their many well-paved roadways. Government, gladiators, and guilds of actors must have been part of the bustling society under Romand rule, even though its setting was right in the middle of Israel. There was a working public latrine, whose ruins Erik and I wanted to literally use. There were public bathhouses and a theater and a large market and a large space for political and diplomatic happenings. I mentioned a “modern fame” for this city. The hill that dominated almost every view had on top a peculiarly dead tree. In the movie “Jesus Christ Superstar” Judas was hung there. Getting hung there seems like a recurring theme, so we left. Beit Alfa was our next stop. It contained the ruins of a 6th century synagogue well-known for its syncretistic mosaic floor done by some poor quality artist. 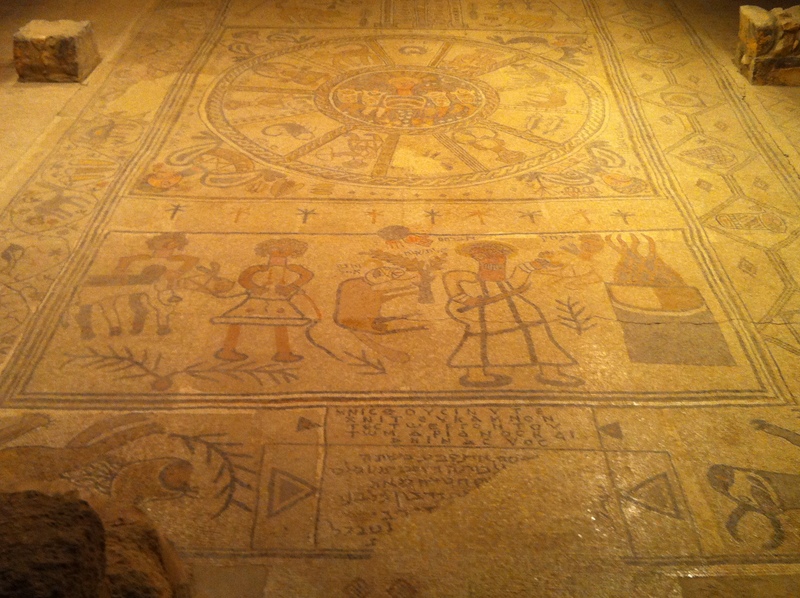 The mosaic floor was a mix of Roman mythology and Jewish religious symbols. Based on the captivating mosaics we had just seen in the ruins of Beit Shean, and based on a cheesy but informative film that we saw there, the artist certainly must have been second-rate and all the leaders there could afford. The floor was still an amazing relic. Dr. Ortiz told us he reasons that God told Gideon to keep the ones who lapped the water from their hands because they would stay alert and focused on the mission. You see, the enemy Midianites were encamped near the Hill of Moreh on the other side of the vast plain that the stream borders. Gideon’s men were most certainly thirsty and wanted a chance to gather their thoughts as they mentally struggled with the task of defeating the countless Midianites. When they came upon the stream, the enemy was in view. The enemy camp was just across the plain, and because of their large number would most certainly have been noticeable to Gideon’s men. Thus, the men who did not give in to the out-of-control indulgence of quenching their thirst by sticking their faces in the water were fit for battle. They were able to stay focused on the mission at hand, which was especially important if they were going to trust this extremely unique battle plan. Dr. Ortiz’s hypothesis is mere speculation, but good reasoning. And it makes the story more real. Seeing the location and the view firsthand made it more real, as well. 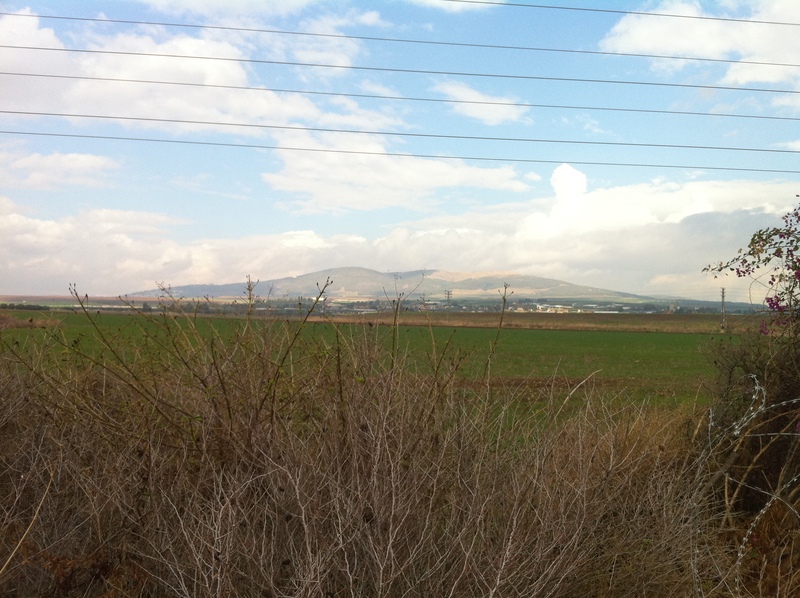 After lunch, we arrived at the Hill of Megiddo – aka “Har Megiddo,” aka Armageddon, aka Jezreel Valley. It is an out-of-place rock that stands high above one of the most expansive valleys I had every seen. The ruins there were captivating, representing 25 layers of civilization. The overlook to the vast Jezreel Valley coupled with the remains of settlements 25 times conquered and 25 times rebuilt was breathtaking. It dated from 4500 BC forward. It has been a place of so much conquest because of its strategic location and formidable height along what was the main road from Mesopotamia to Egypt. It is in this valley and from this hill that some interpreters of Revelation 16 say that the battle to end the ages will be fought. Regardless of my viewpoint or yours, it is still a magical place where many conquests and battles have occurred. 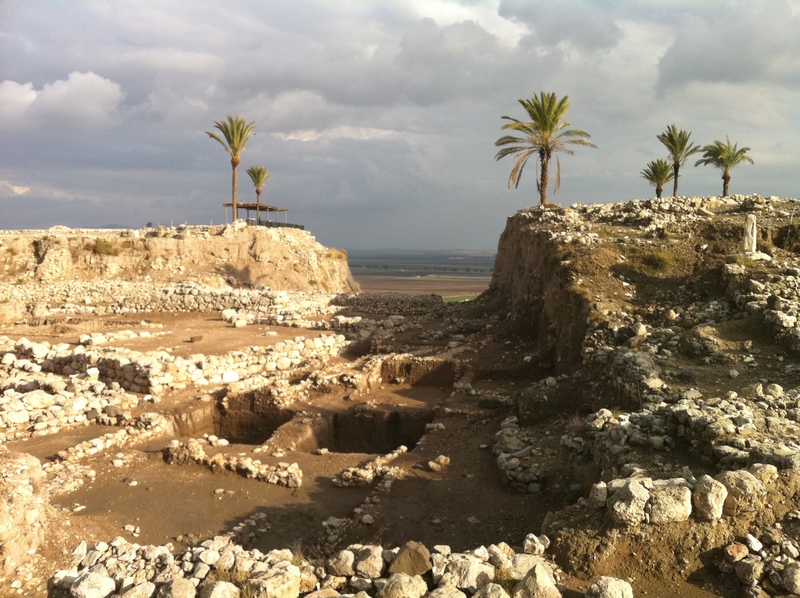 One other note about Megiddo. King Ahab used it as a stronghold. He had elaborate cisterns built to supply the place with water in case of a long siege. 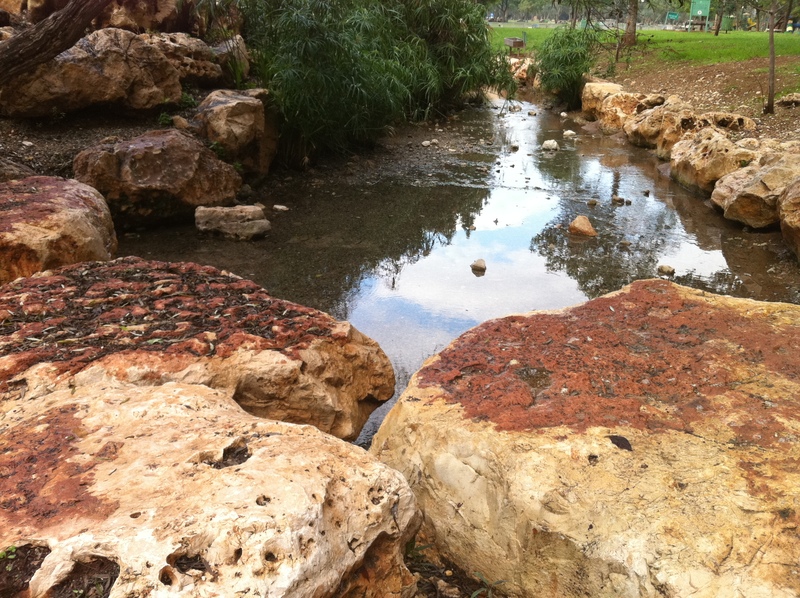 We walked down over a hundred steps into the base of the water hole. Coming out, we were all walking down a path when one of the men noticed what looked to him to be a piece of pottery lodged into the dirt mound beside us. After a little digging, three pieces of what probably was an ancient pitcher were uncovered. One of the professors with us identified it as likely being a 6th or 7th century BC piece, based upon the layer of the hill where it was found. I was skeptical, since I had recently bought one just like it at Old Time Pottery (just kidding). It was pretty neat. Our last stop of the day was Nazareth. 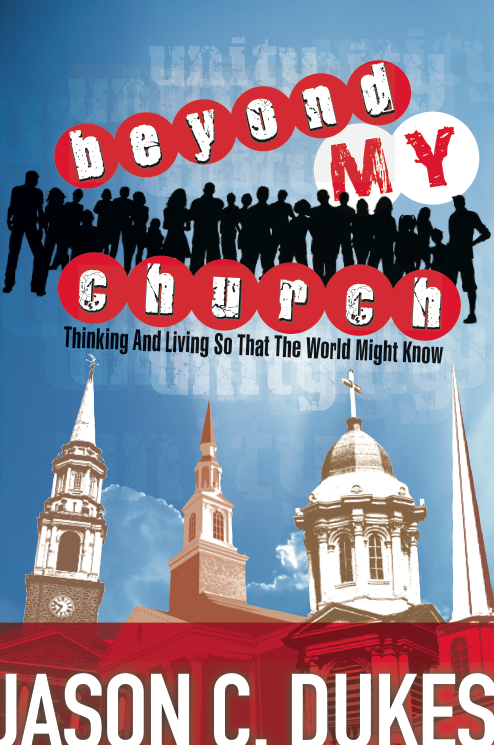 It is now a city of 100,000 Muslims, Jews, and Christians all dwelling tensely together. Jesus’ hometown was likely very small. It was very likely a settlement for the families of mason workers who were commissioned in to build Tiberius. If that is the case, Joseph was possibly not a wood carpenter but a mason. That screws up The Passion movie, though, so forget I said that. Jesus was certainly not welcomed in his hometown (Luke 4). There was great hatred toward Him at the slightest variance from the customs and traditions of their culture, especially since some of them there had likely wiped his runny nose when he was a kid. 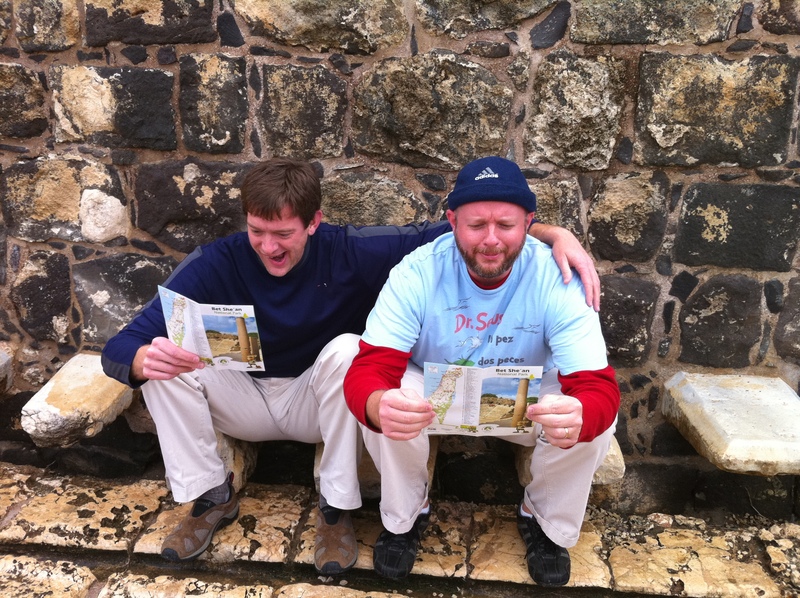 We stood on the only cliff edge of the city, likely where they would have thrown Jesus from if He had not escaped. Our guide, Gilla told us of the heavy angst and even of a bit of persecution toward Christians in this area today. “They are leaving in droves. But Islam is a religion of peace, you know. Wherever they arrive to live everyone else leaves and then there’s peace.” She was funny and insightful. Immediately at that moment, and I am not exaggerating here, the room above the lobby where we were shook. It was like an earthquake, lasted for about 10 seconds, and then calmed. When we came down into the lobby after our study, the front desk folks told us there had been an earthquake just a few moments ago in Beit Shean, where we had been earlier that day. 4.2 on the richter scale. Crazy!!! As if the trip wasn’t already unique enough.